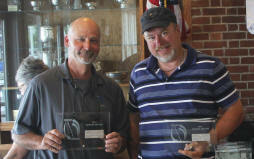 Portland Riverside Marina Portland Riverside Marina is proud to report that Dan Stadtlander has won first place in Class 4 in the single-handed first leg of the Bermuda 1-2 in June 2015, and he and Matt Thomson have also won first place in the double-handed second leg. Dan finished the first leg to Bermuda on his Bristol 39, Mirari, on June 9, and he and Matt completed the second leg back to Newport on June 24. Matt is also the owner of a Bristol 39, Blue Moon. Congratulations to Dan and Matt! 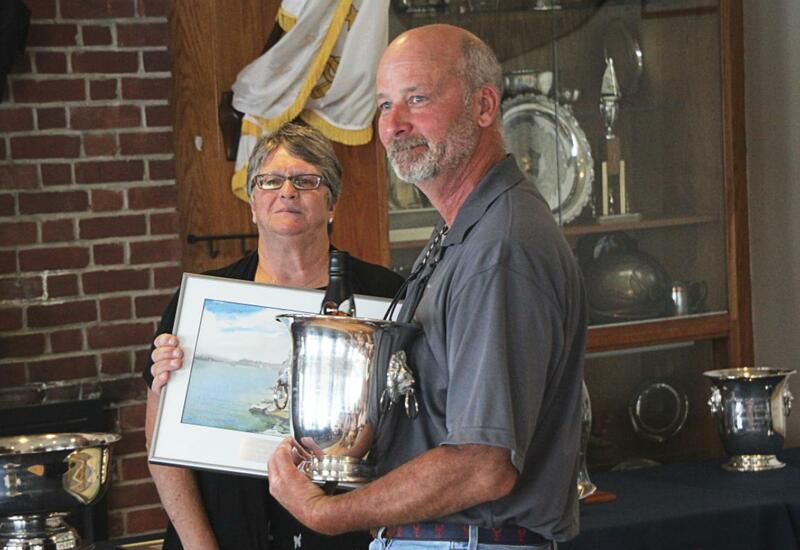 for the double-handed second leg in Class 4 in the 2015 Bermuda 1-2.
first leg in Class 4 in the 2015 Bermuda 1-2. Dan previously competed in the race in 2007, 2009 and 2013. Dan Stadtlander aboard Mirari at Watch Hill in October 2013. Portland Riverside Marina is the winter home of Mirari and Blue Moon. 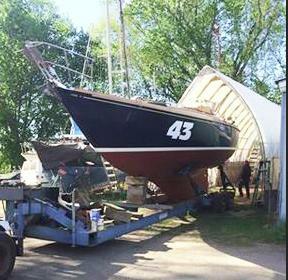 Dan and Matt have both restored their Bristol 39 yawls at Portland Riverside. Dan has prepared Mirari for the challenges of four Bermuda 1-2 races. After the 2013 Bermuda 1-2, Dan added a mizzenmast to Mirari, converting the sloop into a yawl. Dan Stadtlander's Mirari at Portland Riverside in May 2015. Dan finished in 4th place in his class (Class 4) in the single-handed first leg of the race in 2009, with an elapsed time of 131:35 and a corrected time of 117:29. In the double-handed second leg of the race, Dan and five other boats in Class 4 did not finish because of severe weather conditions. Veterans agreed that the return leg was the toughest they had encountered in the Bermuda 1-2. Skippers reported lots of broken equipment and blown-out sails. The start of the race was delayed one day due to a tough-looking low south of New England. In 2007, Dan finished in 2nd place in his Class 4 in the combined elapsed time in the race. He won third place in the combined corrected time. In 2013, Dan was forced to drop out during the first leg because of extremely adverse conditions that resulted in a shredded genoa and several mechanical failures, including a broken boom. We congratulate Dan on his third-place finish in 2007, his fourth-place finish in the single-handed leg of the race in 2009 and his great courage and resourcefulness in returning home safely in 2013. Perseverance, a C&C 41, was hit by a whale 10 miles from the finish in Bermuda. 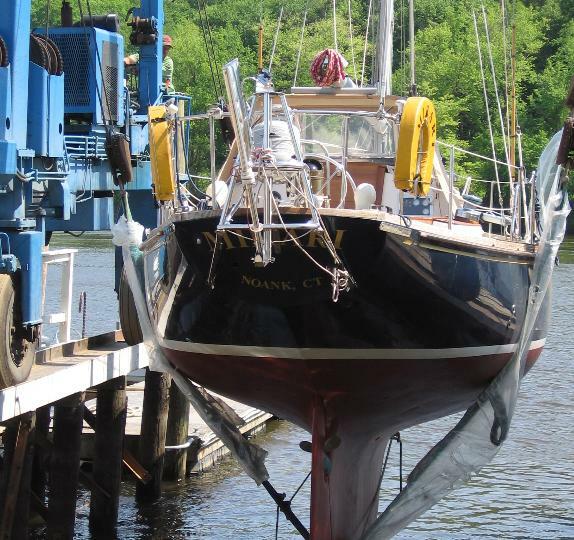 The boat's rudder post was bent backwards in the collision. 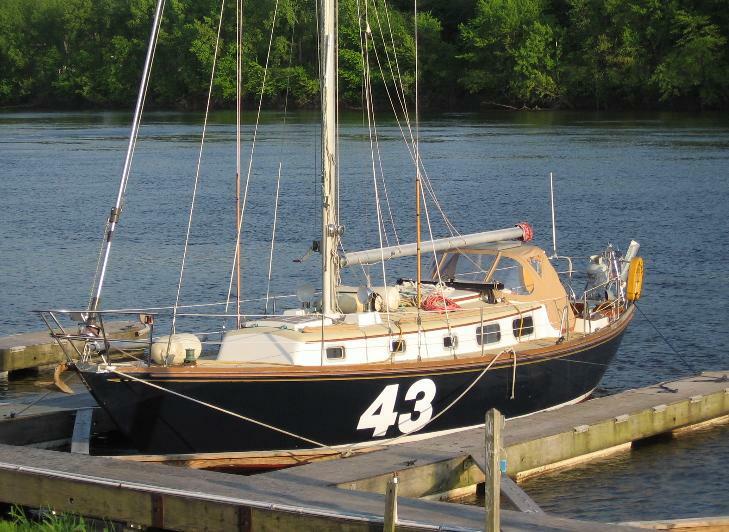 The skipper, Robert Patenaude, was able to continue but could make only small helm changes. In the end, he actually won his class on both elapsed and corrected times! 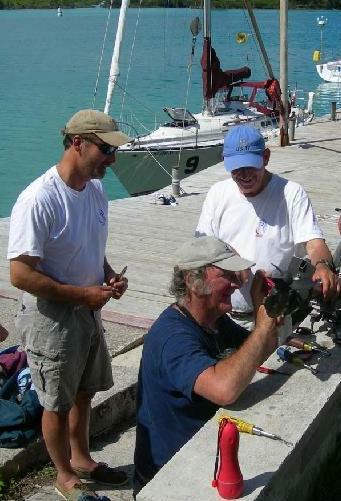 Several skippers helped him repair the rudder in Bermuda, and Robert finished in 2nd place in his class in the return leg. Palangi, a Catalina 36, had its boom broken not long after leaving Bermuda. Acadia, an open 6.5 mini, broke both dagger boards but was still able to win the mini class. Carbon Neutral, also an open 6.5 mini, had trouble the first night out from Newport when both rudders broke and the mast fell down when the forestay let go. The Bermuda 1-2, one of the oldest short-handed offshore races in the world, includes a grueling 635-mile single-handed leg from Newport, RI, to St. Georges, Bermuda, and a double-handed leg back. 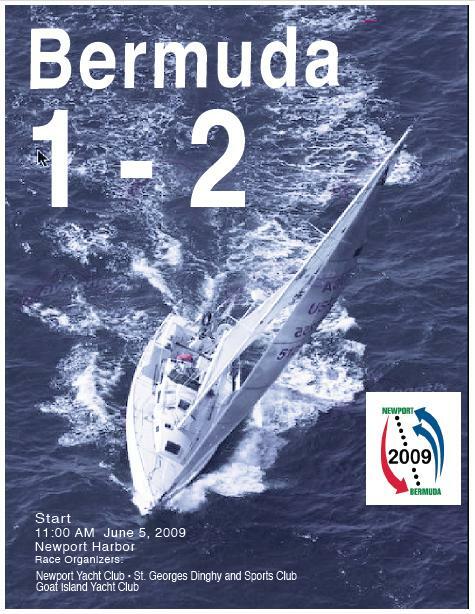 "First run in 1977, the Bermuda 1-2 is held every two years," the race brochure states. "A wide range of boats enter the race. These include exotic blue water race boats, cruising yachts, and a fleet of small 6.4 meter minis. "The Bermuda 1-2 race has two parts: Single-handed from Newport to Bermuda, followed within days by double-handed back to Newport. The race is scored on corrected time, including each of the single- and double-handed races plus combined corrected time overall. "The Bermuda 1-2 is not for the faint of heart. The race covers 1,300 nautical miles of ocean. Two crossings of the Gulf Stream are involved, both short handed. As a result, skippers and crew must have a unique combination of courage, experience offshore, outstanding seamanship skills, plus capacities for resourcefulness in dealing with the unexpected. Above all, they must be vigilant and respect the power of the sea--day and night." More information about the race is available at www.bermuda1-2.org. Real-time racetracking, via onboard transponders, was available during the race at http://yb.tl/onetwo2015. before setting out for the Bermuda 1-2. 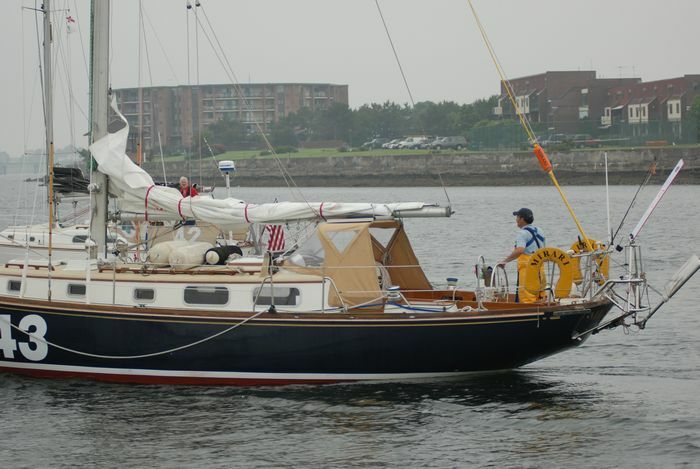 Mirari is launched at Portland Riverside Marina in spring 2007.
after the first leg of the Bermuda 1-2 in 2007. 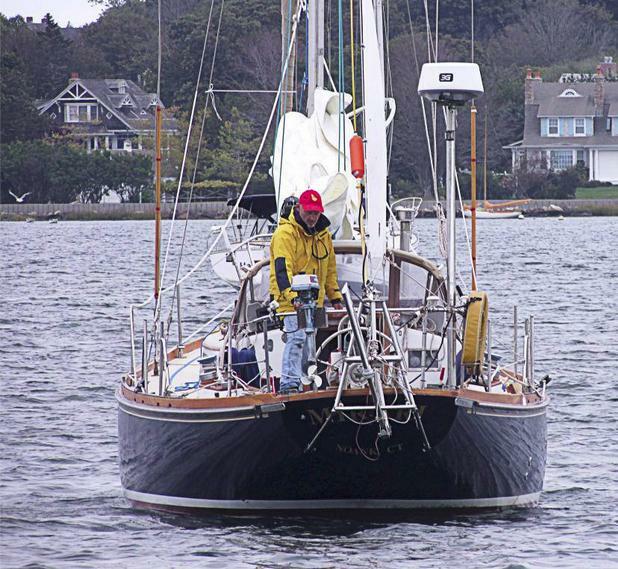 Read about Dan Stadtlander in Doug Campbell's Bermuda 1-2 blog in Soundings magazine. Here at Portland Riverside, we tracked Dan's progress throughout the race at www.bermuda1-2.org and http://yb.tl/onetwo2015. you'll need to outfit your boat.